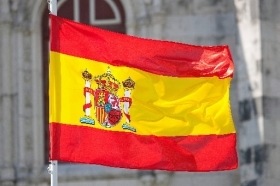 MADRID -- Spain's CNMC competition authority fined 21 automakers and two consultancies 171 million euros ($188 million) for anti-competitive practices. The biggest individual fines were 22.8 million euros for General Motors and 20.2 million euros for Ford Motor Co. French carmakers received the next highest penalties with Renault fined 18.2 million, Peugeot 15.7 million and Citroen 14.8 million. CNMC said that the automakers acted like a cartel by exchanging sensitive details relating to car sales, repairs, maintenance activities and car parts. Information exchanged included details of price incentives to avoid a discounting war for new-car sales, according to Spanish media reports. This is the biggest fine imposed by the CNMC, which began a series of investigations into Spain's motor trade in 2013. To date these have involved 124 companies. Last March CNMC fined 45 Toyota, Hyundai and Opel dealers for setting up a price cartel in Madrid and Galicia. It has recently launched an investigation into Volvo dealers. The carmakers have two months in which to lodge an appeal against the finding and the fines. CNMC imposed the fines based on the annual revenue of the companies and the seriousness of their anti-competitive practices. Volkswagen and its subsidiaries, including its Spanish brand, Seat, will not be fined because of the help they gave to the investigation. The investigation began following a joint complaint by Seat and Volkswagen. Although a participant in the activities now deemed anti competitive, Seat identified the issue in the first place and helped the competition authority to find proof of collusion. Had it been fined, Seat would have faced a penalty of 39.44 million euros. Industry association ANFAC said there is strong competition in Spain among automakers. "There should be no doubt about the fair competition in this industry," it said in a press release. It argued that, unlike the telecommunication sector, which is controlled by just three companies, the ten biggest brands control less than 70 percent of the Spanish car market. It also claimed that a 15 percent fall in car prices over the past six years proved that any agreements entered into by the companies had not harmed the interests of consumers. ANFAC also referenced the conclusion reached of a study by the Spanish consumer organization OC. This found that car prices in Spain "are definitely liberal," with price variations of up to 30 percent available, depending on brand and dealer.